Decades of experience moving families across town or across the country have taught us the value of having well-trained people using the best equipment. That’s why Boer’s Mayflower’s professional packers are trained in packing methods which provide maximum protection for your possessions. At their disposal are the industries finest materials to cushion, cover and protect. We can pack as little or as much as you would like – wether we are packing everything, or maybe just your breakables, you can rest assured that your items will be protected in the best possible manner. Our trailers have plenty of thick, cushioned pads to protect your furniture and special straps to secure your belongings safely in place. 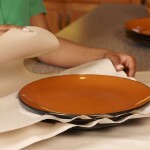 All upholstered furniture gets our special Safety Seal plastic wrap for added protection. Our special air-ride suspension provides a protective cushion between your belongings and the bumps along the road. Prior to taking anything out of your existing home, we will protect the floors with the appropriate covering. We will cover any handrails with our thick quilted moving blankets as well as cover the door jamb with our specially designed door jamb covers. 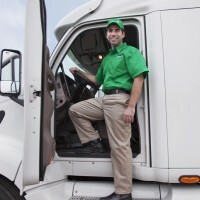 Yes, we do handle local moves – in fact, we handle them all the time – and we are just as competitive as some of the more “generic” movers in the area. We have many different size trucks. 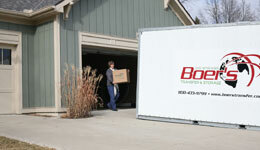 We will determine which size truck will be best suited for your local move. When paying by the hour, you want things to move quickly as well as carefully. With the right size truck, your move will be as efficient as possible. Whether you would like us to do a complete pack and move, or handle just the “big stuff”, we will take every precaution necessary to deliver your goods in the same condition as when they left your previous home. Have one of our certified relocation consultants come and provide you with a free estimate and relocation package.